Sudarsana Homam / Pooja | Sri Gayathri Ashram Inc. This homam is performed for Sudharshana Chakram, the mighty weapon of Lord Vishnu. 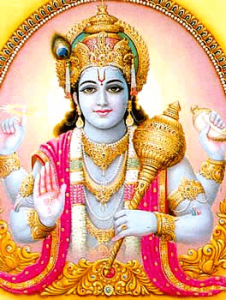 Hindu mythology is full of references regarding the relationship and synergy between the Chakram and Lord Vishnu. Infact Lord Narasimha, an incarnation of Lord Vishnu is believed to be the resident of the Chakram. Maha Sudarsana Homam for removal of all enemies & avoiding accidents, The desires of human beings are innumerable and they vary in nature. The yantra (a symbol embedded in metal) used in the Homa, will keep all negativity at a distance and bring in divine and auspicious energies. Performance of the Maha Sudarsana Homam confers health, wealth and Prosperity on the seeker (in this case the person who performs the Homam). If the seeker desires material benefit, the Chakram grants him all the riches he wants. If the seeker desires spiritual benefit, he begets this upon performance of the Homam. Shuddam is of utmost importance in the worship of Sudarsana Chakram. Therefore, the Homam must be performed with great regard to the Deha, Manas and Sthana Shuddam. Purity of thought, sound and intonation while chanting the Homa mantrams gives sampurna phalam. According to the epic Mahabharatha, the Chakram represents the wheel of time (Kala Chakram), denoting the temporal aspect of the Chakram. The Vishnu Sahasranamam salutation “Ritu Sudarshana Kala Iti Digbandha:” also refers to the spatio-temporal aspects of the Chakram. According to Sudharshana Astakam, the Chakram is also the eye of the universe, the three Vedas and the three sacrificial fires. ∗ Stops any problems or danger that might occur in future.